I was a student of Carl Steinitz’s in 1968‐1969 at the Lab (later called the Laboratory for Computer Graphics and Spatial Analysis) in the Graduate School of Design (GSD) at Harvard. Having previously received a Bachelor’s degree in Landscape Architecture at Cal Poly Pomona and a Master’s degree in Urban Planning at the University of Minnesota, I read an article about the Lab in a journal and decided to go to Harvard. The first day in Cambridge I met Howard Fisher, who had founded the Lab in 1965 with a grant from the Ford Foundation, and was its director at that time. Howard soon hired both me and my wife, Laura, to work on computer mapping for the Lab, which was then located down in the basement of Memorial Hall on the Harvard campus. Carl Steinitz had joined the Lab in 1965 as an assistant research professor. By 1967 he had already done his design studio project on Delmarva with GSD graduate students. That project made use of SYMAP to analyze and map urbanization on the Delmarva Peninsula. In 1968‐69 I took a design studio course with Carl and Peter Rogers; the project involved computer mapping and analysis of portions of the city of Boston. At the same time I was also working nights for Howard Fisher on computer mapping, including preparing the manual for SYMVU. Laura and I did all kinds of work at the lab, often working far into the night, and then I went to classes during the day. Those who have worked with or for Carl know him to be very demanding. Carl insisted that we learn the tools. At the time that meant carrying boxes of IBM cards the quarter mile to the mainframe at the Harvard computer center, where you could get two or three hour turnarounds for your decks, if you came in to the center at 3 or 4 a.m., instead of the eight hour turnarounds at other times of the day. Just to produce one computer map might take thirty trips to the computer center before you got all the coding and keypunching mistakes out of your deck. Carl’s design studios were what I now call problem‐based learning. It was not enough to master the tools. Both Carl and Howard Fisher insisted that we also had to understand what the tools meant and how to apply them to solve problems. But the most important moment of my Harvard education was the day—which I remember vividly—when Carl first explained to us how we could do quantitative spatial analytics using the computer. That was the moment I fell in love. I became so excited by what he had explained that I found it hard to sleep nights. Laura and I realized that this computer technology could make a difference in the world and that perhaps we should devote our lives to developing this technology and making it available to others. It was a magical time for us. Everything was new and exciting. We felt exhilarated. We had enough energy to work day and night, like the feeling you get after drinking seven cups of coffee. During that year at Harvard learning with Carl Steinitz, I had the feeling that I was drinking knowledge out of a fire hose. I learned more in that year than I had learned in the previous ten years of my education. Meanwhile, Carl kept pushing all of us to understand and apply the technology. He and Howard Fisher emphasized, repeatedly: “the applications, not just the technology.” And when I finished my degree and came back to California in 1969, Laura and I founded Esri. 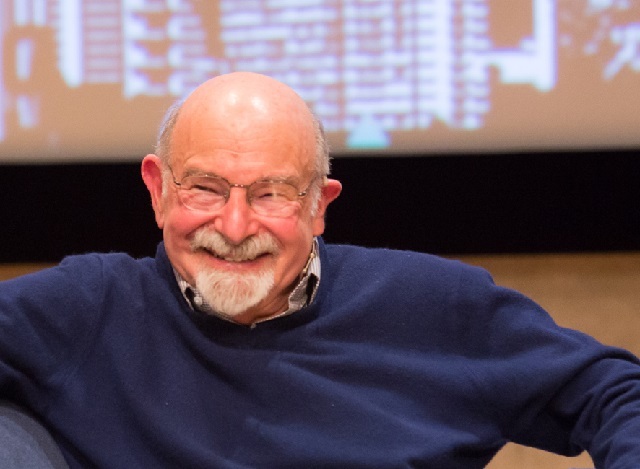 I think it is widely agreed that Carl Steinitz, over the 50 years he taught at Harvard, has been one of the most important figures in influencing the theory and practice of landscape architecture and the application of computer technology to planning. Underlying all of his work is the firm belief that landscape architects should be leaders in solving some of the most pressing issues of our time. Steinitz has shaped the lives of thousands of students worldwide with his teaching, and his methods and values influence the many of us who have gone on to play a role in the evolution of landscape architecture and GIS.